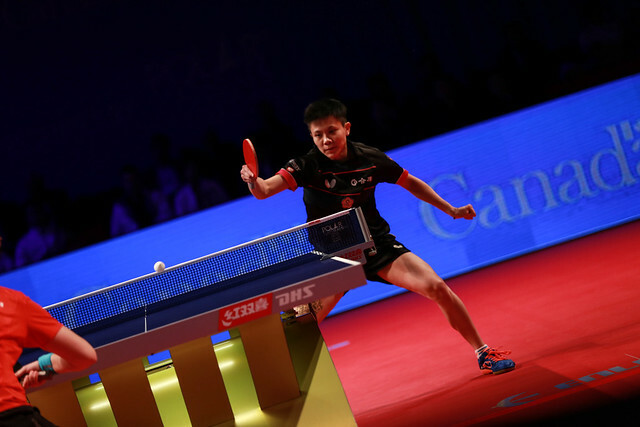 Success for Cheng I-Ching, defeat for Chen Szu-Yu, it was mixed fortunes for Chinese Taipei as play commenced at the quarter-final stage of proceedings in Markham, Toronto at the Uncle Pop 2017 ITTF Women's World Cup presented by Polar Naturals on the evening of Saturday 28th October. Cheng I-Ching, the no.5 seed, beat Hong Kong’s Lee Ho Ching, the no.13 seed (6-11, 13-11, 6-11, 11-7, 11-8, 11-5); immediately following, Chen Szu-Yu, the no.11 seed, experienced defeat at the hands of Japan’s Miu Hirano, the no.4 seed and defending champion (11-7, 11-8, 11-6, 11-8). Fast close to the table counter attacking rallies were very much the order of the contest between Cheng I-Ching and Lee Ho Ching; the vital stage of the engagement coming in the fifth game after honours had been shared. Cheng I-Ching made a lightning start, she sped into an 8-1 lead; following the policy of keeping the ball on the table, doing nothing expansive, Lee Ho Ching won the next five points. Cheng I-Ching, having made errors when trying to seize the initiative called “Time Out”; she won the next point to move to 9-6 but at 9-8 the deficit was down to one precious point. Focused, determined Cheng I-Ching secured the next two points before in the sixth game winning the first three. Now it was the turn of Lee Ho Ching to elect for “Time Out”; she lost the next point but gained parity at 5-all; somewhat surprisingly, she did not win another point. Error free, Cheng I-Ching won the next six points and secured her place in the penultimate round. Impressive from Cheng I-Ching, throughout the tournament Chen Szu-Yu had been equally impressive but against Miu Hirano she was never allowed to settle; she never found a rhythm to her play. Precise and deliberate in her service action as always, Miu Hirano captured the first two games, in the third leading 8-6 took what could only be described as a cautionary “Time Out”, before securing the game without the loss of another point. In the previous round against Hong Kong’s Doo Hoi Kem there had been a remarkable recovery by Chen Szu-Yu from three games to nil in arrears; in opposition to Miu Hirano there was to be no such happening. She saved one match point at 10-7 but that was the sum total.